Day 18. July 26, 2010. 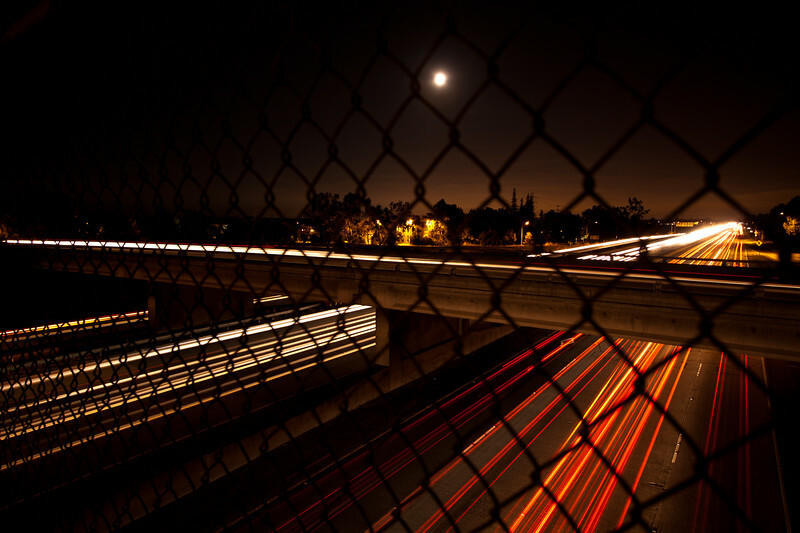 The footbridge over the 101 near Oregon Expressway. I was out here one night a while back (to smash pumpkins) and noted to myself that this would be a great place for night photography. So here I am, months later, taking advantage of the full moon to get some night traffic shots. 10-22mm f/3.5-4.5 @ 16mm. f/4.0. 10s. ISO 100.